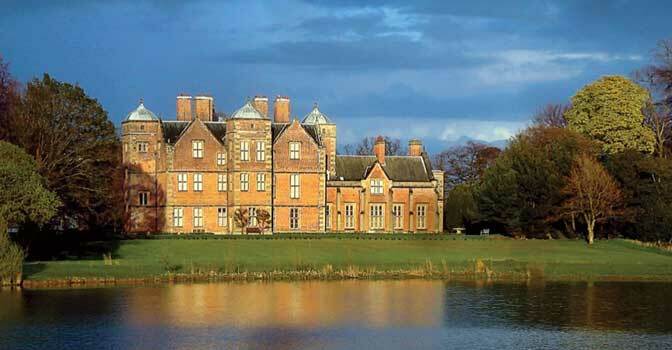 Kiplin Hall in North Yorkshire, England, is the ancestral home of the Calvert family, founders of Maryland, and owners of the plantation where the University of Maryland was created. We are looking forward to holding a workshop on language and memory there on Aug 31 – Sept 3, 2014. All of the 13 participants are UMD alumni or their students/postdocs. The University of Maryland has used the Kiplin Hall Study Centre, based in the stables/servants quarters (not sure which) for a number of years for undergraduate study abroad programs. But this will be the first research workshop held there. The existing accommodations are homely rather than luxurious (dorm/bunk style), hence well suited to a group that is not meeting for the first time. The workshop was inspired by an article in TERP Magazine. Look out for pictures after the event.